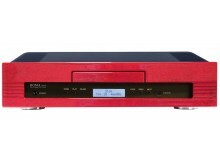 TUBE COMPACT DISC PLAYER - ROMA 14DC S Y N T H E S I S MADE IN ITALY Synthesis is set to release a new Compact Disc Player ROMA14DC. The 32Bits of resolution gives you a fantastic sound stage and a perfect sound reproduction. 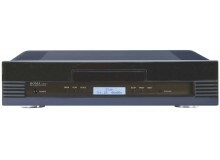 Using an ECC88/6DJ8 on the output stage gives a warm sound characte..
Roma 14DC/14DC+ Tube Compact Disc Player The sound is complete, airy, dynamic, lively, and incredibly musical. The purity of human voices and accuracy of instruments is breathtaking. The Roma81DC+ with its 450W for each channel provides a fast, dynamic presentation without th..
Roma 69DC High Resolution Tube DAC S Y N T H E S I S MADE IN ITALY Synthesis is set to release a new Digital to Analogue converter ROMA69DC. 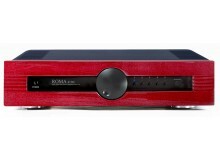 The Roma 69DC has USB “B” type, DSD 5,6MHz and optical input. 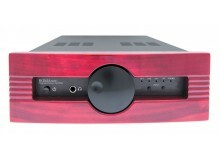 32Bit of resolution give you a fantastic sound stage an..
Tube phono stage MM-MC- ROMA 79DC S Y N T H E S I S MADE IN ITALY Synthesis is set to release a new tube phono stage, the Roma79DC. The all important component of this of this line stage comprises of two ECC83/12AX7 and one ECC82/12AU7 are run by a multi stage fully regulated power sup.. Following the success of the much-celebrated NIMIS, Synthesis took on the challenge of recreating a 12W A Class integrated stereo tube amplifier. Using a new technologies a new business development and Luigi Lorenzon's constant pursuit of perfection, he succeded in creating an entry level ampli..
Synthesis is set to release a new digital integrated stereo amplifier ROMA54DC+. The sound is complete, airy, dynamic, lively, and incredibly musical. The purity of human voices and accuracy of instruments is breathtaking. 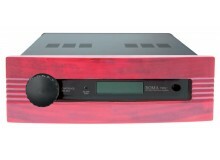 The Roma54DC+ with its 170W each channel provides a fast, dynamic pr..
Synthesis is set to release a new solid state integrated stereo amplifier ROMA81DC+. The sound is complete, airy, dynamic, lively, and incredibly musical. The purity of human voices and accuracy of instruments is breathtaking. 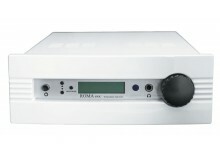 The Roma81DC+ with its 450W for each channel provides a fast,..
Roma 37DC High Power Hybrid Integrated Stereo Amplifier Synthesis released a new hybrid integrated stereo amplifier ROMA37DC. The tube like sound is complete, airy, dynamic, lively, and incredibly musical. The purity of human voices and accuracy of instruments is breathtaking. The Roma3..
Technical specifications: Power tubes (each ch): 2 X EL34/6CA7 Tube driver (each ch): 1 X 12AU7/ECC82 Input: OP/Amp NJM2114 Output power (each ch): 25W A Class into 6ohm Frequency response: 20Hz to 20KHz - 0dB Power stage config. : Pentode configuration Input impedance (line): 50.. 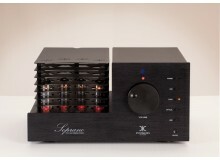 Integrated Stereo Tube Amplifier - ROMA R27AC S Y N T H E S I S MADE IN ITALY There has never been an introductory integrated amplifier with the fit, finish and sound of the ROMA 27AC. At first glance, this stunning amp simply takes your breath away. 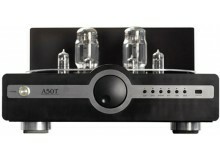 This high performance amplifiers brings.. 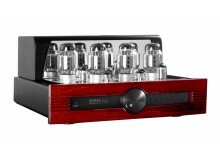 Integrated Stereo Tube Amplifier - ROMA R753AC S Y N T H E S I S MADE IN ITALY There has never been an introductory integrated amplifier with the fit, finish and sound of the ROMA 753AC. At first glance, this stunning amp simply takes your breath away. 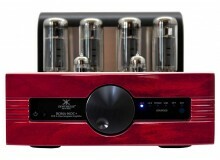 This high performance amplifiers brin.. 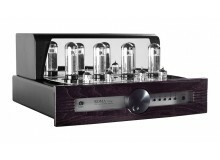 Integrated Stereo Tube Amplifier - ROMA R510AC S Y N T H E S I S MADE IN ITALY There has never been an introductory integrated amplifier with the fit, finish and sound of the ROMA 510AC. At first glance, this stunning amp simply takes your breath away. 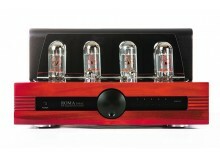 This high performance amplifiers brin.. Integrated Stereo Tube Amplifier - ACTION A40 Virtus S Y N T H E S I S MADE IN ITALY New model of stereo tube amplifiers with DAC's on board, guaranteeing exceptional sonic performance from any digitai source. Made with the finest materials & advanced technology, this series is a s.. Integrated Stereo Tube Amplifier - ACTION A50 Taurus S Y N T H E S I S MADE IN ITALY Two models of stereo tube amplifiers with DAC's on board, guaranteeing exceptional sonic performance from any digital source. Made with the finest materials & advanced technology, this series is a .. 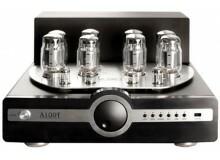 Integrated Stereo Tube Amplifier - ACTION A100 Titan S Y N T H E S I S MADE IN ITALY Two models of stereo tube amplifiers with DAC's on board, guaranteeing exceptional sonic performance from any digital source. Made with the finest materials & advanced technology, this series ..